Today’s topic is a bit off-MBA and GSB. So there’s this guy, big baller some would say:) He has spent all his life working for the watch industry. Bought his first company in 1982 for 22k CHF and sold it successfully 10 years later for 60m (yes million) CHF. Then he turned around one of the flagship brands of Swatch group, tripling its sales in 8 years. As of 2004, up until last January he was a successful CEO and board member of one of the fastest growing luxury brands in the watchmaking world, taking it from 32m CHF turnover and 2,6m loss in 2005 to 400m CHF turnover and 80m CHF profit in 2012. not bad. 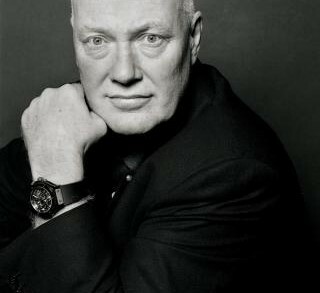 The brands are (in order of appearance): Blancpain, Omega and Hublot and the man behind them is Jean Claude Biver. 1. nobody can win alone. the best teams are built around mutual respect, sharing and forgiving. throughout his career mr Biver has had the same (core) team surrounding him – so 40 years working with the same bunch of people. That is quite unusual in today’s business world and even mr Biver calls it out as luck and being fortunate. nonetheless – the key to the longevity of this team – he explains – is in being transparent, sharing mistakes and learning how to forgive and move on, to learn from them. 2. if you want to win, you need to be: first, different, unique. and mr Biver is ‘walking the talk’. in Blancpain he turned the brand’s weakness into strength, building it’s strategy on the concept of: ‘Since 1735 there has never been a quartz Blancpain watch. And there never will be.” He then did the same when at Omega, introducing watches to movies (James Bond) and making, for the first time, movie starts, the ambassadors of the brand. and at Hublot he took it to a whole new level: first of all by creating watches that are out of this world, nothing like you’ve seen before; second of all by introducing his super luxury merchandise (i encourage you to check the price tag on one of those babies) to masses through: football, formula 1 and music (with Jay-Z, 50 cent, Beyonce, David Guetta as brand ambassadors). Might seem obvious / not groundbreaking, but funnily enough nobody else in the industry saw a potential there. 3. if you want to cultivate creativity, you need to ensure the right environment for it. at Hublot headquarters you’ve got not only offices of Hublot, but also an entrepreneurship incubator for students (apparently they can use the space for 1 CHF/month) and a kindergarten. When asked why did he agree to that, mr Biver says, because the best ideas are created in the morning, in the canteen, where students, kids with their moms and teachers, and Hublot workers mingle:) Probably there’s a lot of gimmick in this statement, but you get the point: If you want to be a diverse and innovative company, it will happen only if you act, think and work like one. 5. be humble. ask questions. accept help. that one’s pretty generic…still good to remind yourself of it once in a while. take care. till the next one.